This series extends the tradition of portraiture beyond that of merely capturing an idealized likeness. Through resonant collaborations, I engage my models in games of dress up, and each woman inevitably reveals something of her story in what she chooses to wear and how she poses. 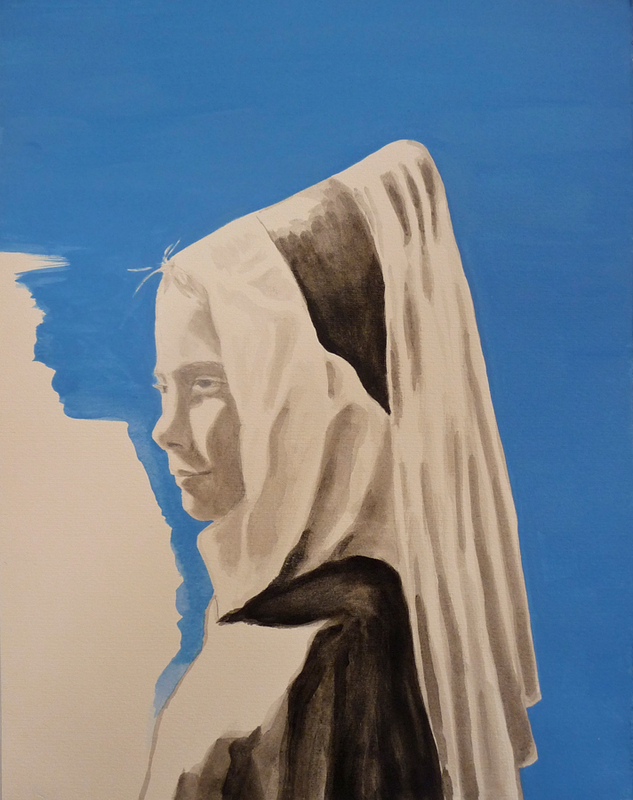 The title of the series, Ageless, refers to the notion that we carry within ourselves all the ages we have been and will ever be, and thereby addresses personal and historical time from a woman's perspective. Each woman in these singular portraits poses with facial enhancements, masks or headdresses: trappings evoking folktale narratives or historical periods. In most cultures, hair and head adornment give clues to a woman's status or enhance a particular ideal of beauty. In these works I make use of these cultural extensions and their symbolic baggage, along with facial expressions and body language, to explore various states of mind and identity. Note: Artworks noted as "Collection of..." have been sold. All other artworks are available for sale. If you are interested in purchasing or commissioning a portrait, please use the Contact page. 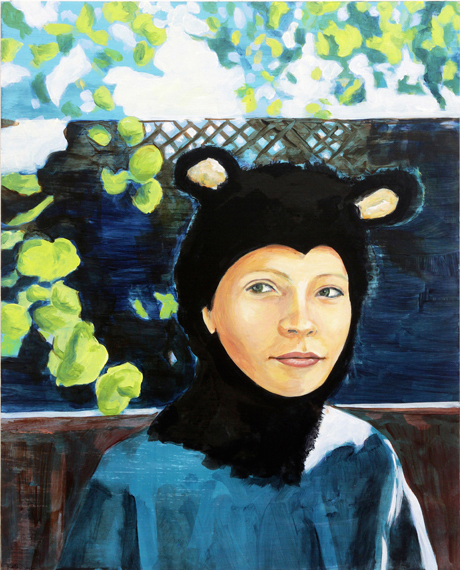 Established in Los Angeles for more than 20 years, artist Kate Savage has has exhibited nationally and internationally. She works with psychologically-charged imagery based on folktales and personal history in paintings, sculpture and works on paper.